Payments2Us has been tested and works with the Nonprofit Starter Pack (available from Salesforce) with the following notes. Disclaimer: Salesforce Foundation is constantly updating the Nonprofit starter pack and we cannot guarantee that this updates will never have an adverse affect on Payments2Us. Please ensure testing new options and updates in Sandbox before deploying to production. 1.2. Scroll down to Account, Contact, Opportunity Matching heading and Double click into the Account Matching Method field. 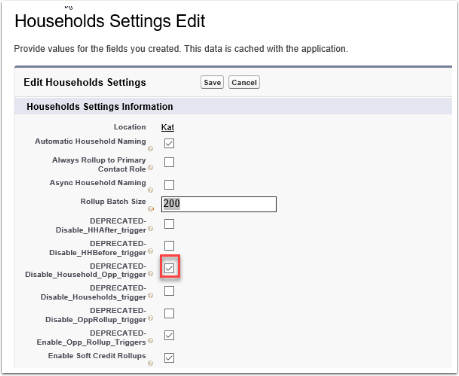 For organisations using the NPSP version 2 or earlier, there is a requirement to disable the Household Opportunity Rollup trigger. This will mean that contact and account roll-up summary fields will only be recalculated once per day. If you are using versino 3 of the NPSP or later then you do NOT need to disable this trigger. 2.1. 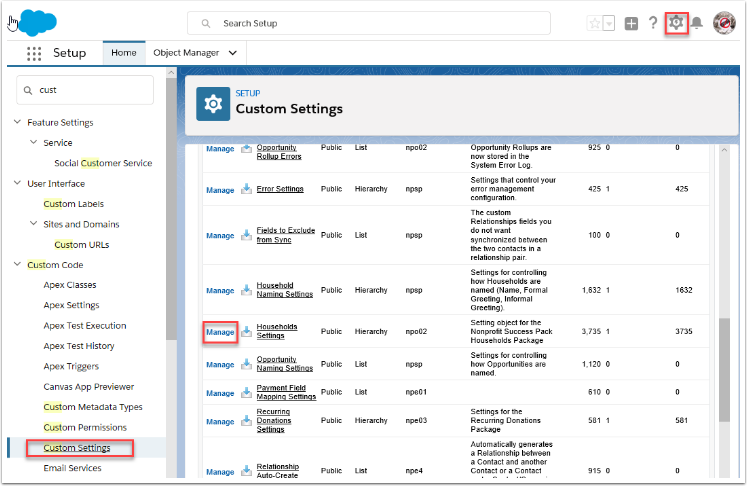 Navigate to Setup Coggle > Custom Code > Custom Settings > Custom Settings or Type Custom Settings into the quick lookup. 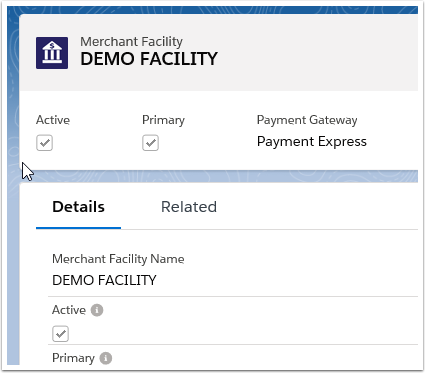 The Batch Payment Processor (started on the Merchant Facility Tab) is not compatible with this part of the Nonprofit Starter pack for versions 2.0 or earlier. The below steps enable the scheduling of the roll-ups so totals on Accounts and Contacts get re-calculated daily. 3.2. 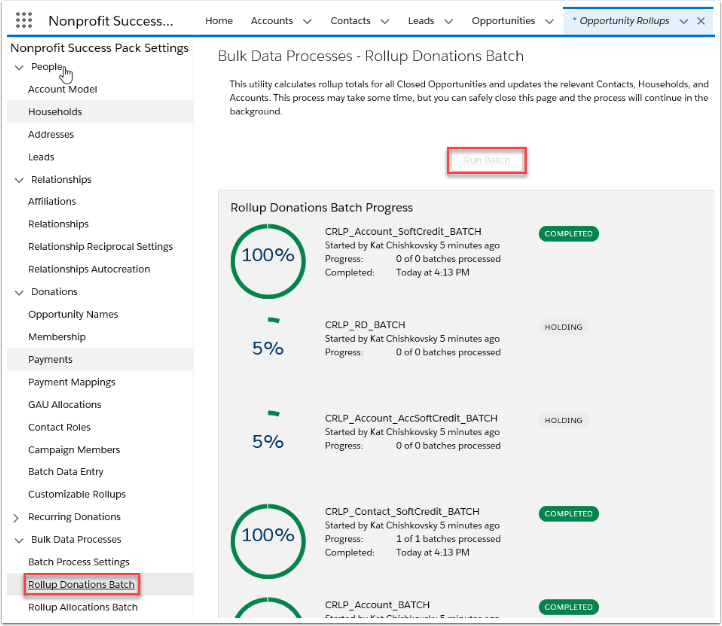 Go to Bulk Data Processes>Rollup Donations and press the Run Batch button. This will run the calculation now and will schedule the calculation to occur each day.